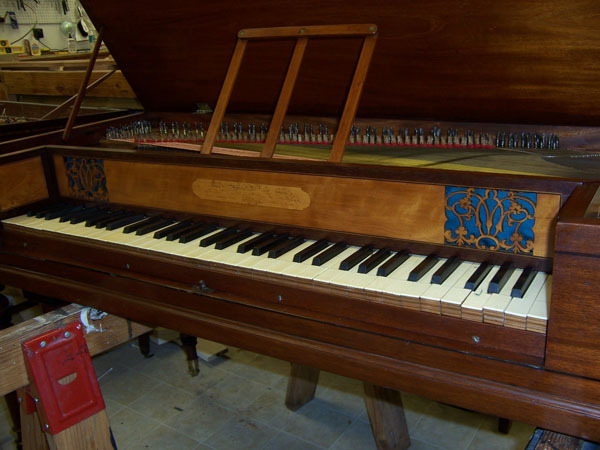 Harpsichords: French Double, Flemish single, German double, Italian, Flemish double, English Bentside spinet. 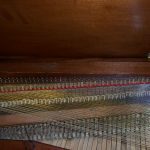 Tuning and Maintenance: Your choice of historic temperaments, or I will choose to suit the instrument and your repertoire. Voicing, quilling, regulation, whatever else you need can be done on a maintenance visit. For those out of my immediate area I am happy to put you on my waiting list for a future travel itinerary. 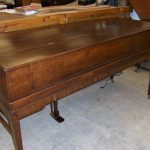 Antique Piano and Harpsichord Restoration and Repairs: Let me turn your sow's ear into a silk purse. 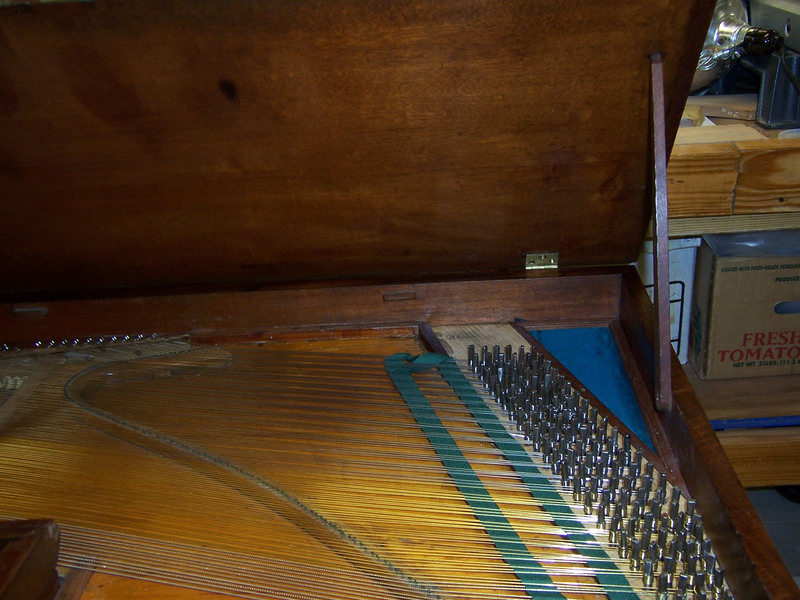 Indeed, this is how I earned my reputation and a critical component of how I learned the minute ins and outs of harpsichord and piano design and construction. I can save and improve most any instrument, including that one left in the basement for twenty years, or the one from the garage sale with "interesting" soundboard issues! Face-Lifts, a.k.a. redecorating: Turn your plain beast into a beauty! Faux stone painting, soundboard paintings, just plain re-painting! Build: Custom building to suit. 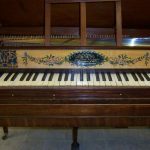 I use The Paris Workshop and other high quality custom parts as a base for the same reasons that the great harpsichord companies of the past outsourced most of their parts. Not only are TPW parts and materials of the highest quality, but they have the space and time to season wood for many years, have the time and equipment to produce specialized parts far more economically and consistently than can a one woman shop. 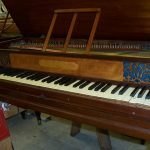 See www.theparisworkshop.com for the range of instruments currently available. 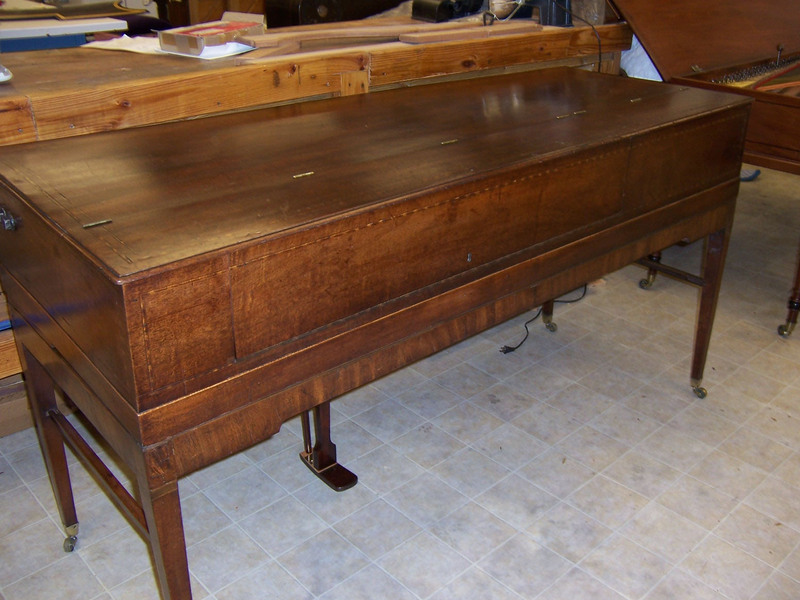 Consignment Sales: Instruments prepared and sold for owners. Click here for more information. Regular member of Association of Online Appraisers. 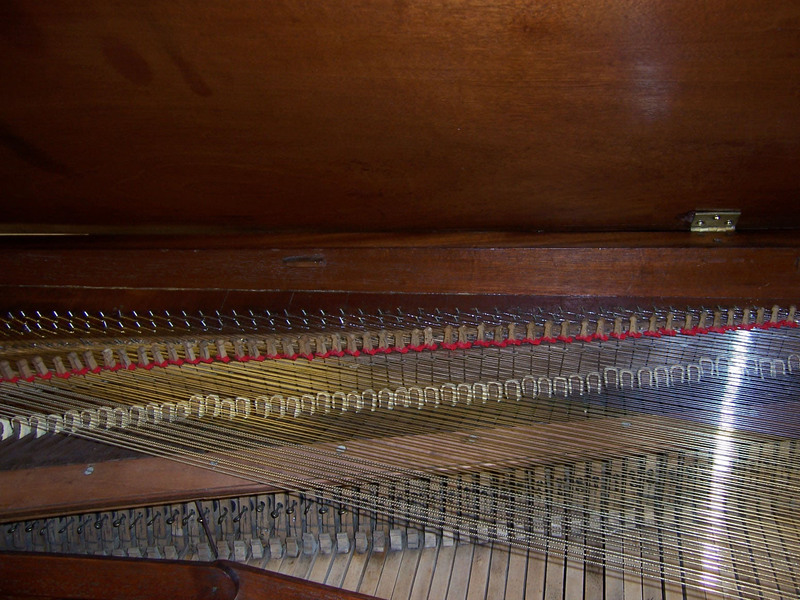 Evaluations: I am happy to be the "independent mechanic" for that instrument you are considering buying or selling. 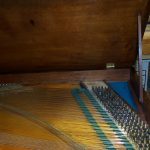 Research: In addition to written appraisals and evaluations, I can provide research services to better understand the background of your instrument. 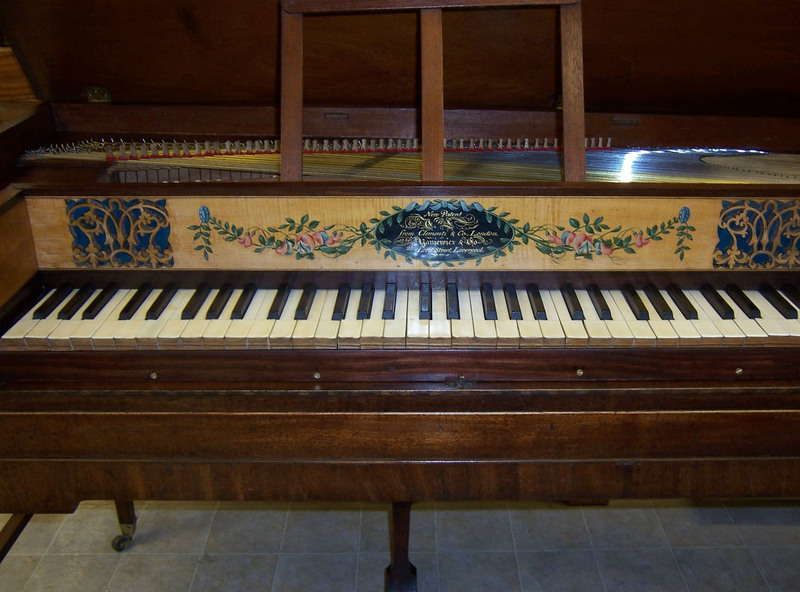 Transport: For a reasonable cost, I am happy to take harpsichords and other early keyboards from place A to place B for you if it fits into my travels. Performance, lectures, continuo playing: Yes, I am an experienced concert player. This tends to get lost in the hustle of restorations, but I like to select a couple performances per year. Especially if you are an instrument player or vocalist in the Savannah or Montrose areas, give me a call!